Mary Lou Jepsen, executive director of engineering for Facebook and board member for Lear Corp. 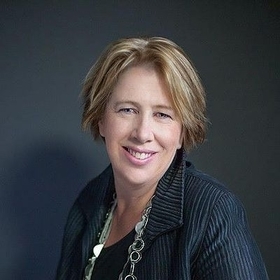 Automotive seating and electronics supplier Lear Corp. has appointed Facebook Inc. executive Mary Lou Jepsen to its board of directors. Jepsen, 51, currently serves as Facebook’s executive director of engineering and the head of its virtual reality unit Oculus. Facebook acquired Oculus for $2 billion in 2014. Before Facebook, she served as the head of Google Inc.’s display division and was the CEO and founder of Pixel Qi, which was a spinoff of One Laptop per Child, a nonprofit that developed $100 laptops for children in developing countries. Jepsen also holds about 100 patents in the computer and technology fields. The appointment adds a new seat to Lear's board, which now has 10 members. It is part of Lear’s strategy to evolve its traditional seat and electronics business units into more advanced technologies, such as wireless connectivity and software. Lear CEO Matt Simoncini, in an interview with Automotive News today, said the company had no prior connection with Jepsen. Lear began planning for the new board position about a year ago, he said. A profile was conceived for the spot with the intention of recruiting someone from "the community of technology," Simoncini said. "It was a very targeted search and a very aggressive recruitment," Simoncini said. Last year, the supplier acquired Troy-based automotive connectivity supplier Arada Systems Inc. and intellectual property and technology of Santa Rosa, Calif.-based Autonet Mobile Inc., an Internet-based telematics and app service provider for the automotive market. In September, Lear acquired a building on State Street in Detroit's Capital Park to house an innovation and design center, which will house a software design studio. Jepsen earned a bachelor’s and doctorate from Brown University and a master’s degree from the Massachusetts Institute of Technology.